Nano Dimension (TASE: NNDM, NASDAQ: NNDM) is a leading additive manufacturing company that is disrupting, reshaping and defining the future of how electronics are made. With its unique 3D printing technologies, Nano Dimension is targeting the growing demand for electronic devices that require increasingly sophisticated features and rely on printed circuit boards (PCBs). Demand for circuitry, including PCBs – which are the heart of every electronic device – covers a diverse range of industries, including consumer electronics, medical devices, defense, aerospace, automotive, IoT and telecom. These sectors can all benefit greatly from Nano Dimension’s 3D printed electronics solutions for rapid prototyping and short-run manufacturing. For more information, please visit www.nano-di.com. Founded by Avi Reichental, an additive manufacturing pioneer and influential exponential-tech executive, XponentialWorks provides advisory services and venture investments to both early and mature stage companies in the field of autonomous mobility, 3D printing, robotics, deep-learning and digital health. The company operates a groundbreaking open innovation facility in partnership with several leading additive manufacturing companies and corporate clients that is dedicated to accelerating digital transformation and industry 4.0 preparedness for the benefit of its entire ecosystem. For more information, please visit www.xponentialworks.com. This press release contains forward-looking statements within the meaning of the “safe harbor” provisions of the Private Securities Litigation Reform Act of 1995 and other Federal securities laws. Words such as “expects,” “anticipates,” “intends,” “plans,” “believes,” “seeks,” “estimates” and similar expressions or variations of such words are intended to identify forward-looking statements. For example, Nano Dimension is using forward-looking statements in this press release when it discusses its current and future CECs, including opening additional CECs, plugging into the XponentialWorks ecosystem, leveraging their vast network to expand sales support and training on the West Coast, and plans to immediately begin to host targeted events for marquee customers, hold reseller training and recruiting activities, and curate thought-leadership conferences when it discusses the potential of its DragonFly 2020 Pro 3D printer. Because such statements deal with future events and are based on Nano Dimension’s current expectations, they are subject to various risks and uncertainties. Actual results, performance or achievements of Nano Dimension could differ materially from those described in or implied by the statements in this press release. 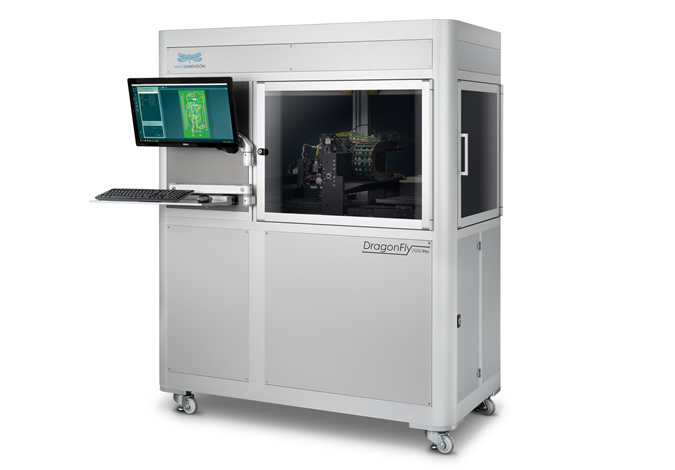 This entry was posted in News and tagged 3D printed electronics, Additive Manufacturing, Amit Dror, Avi Reichental, Customer Experience Center, DragonFly 2020 Pro 3D, Nano Dimension Ltd, Simon Fried, XponentialWorks by AM. Bookmark the permalink.